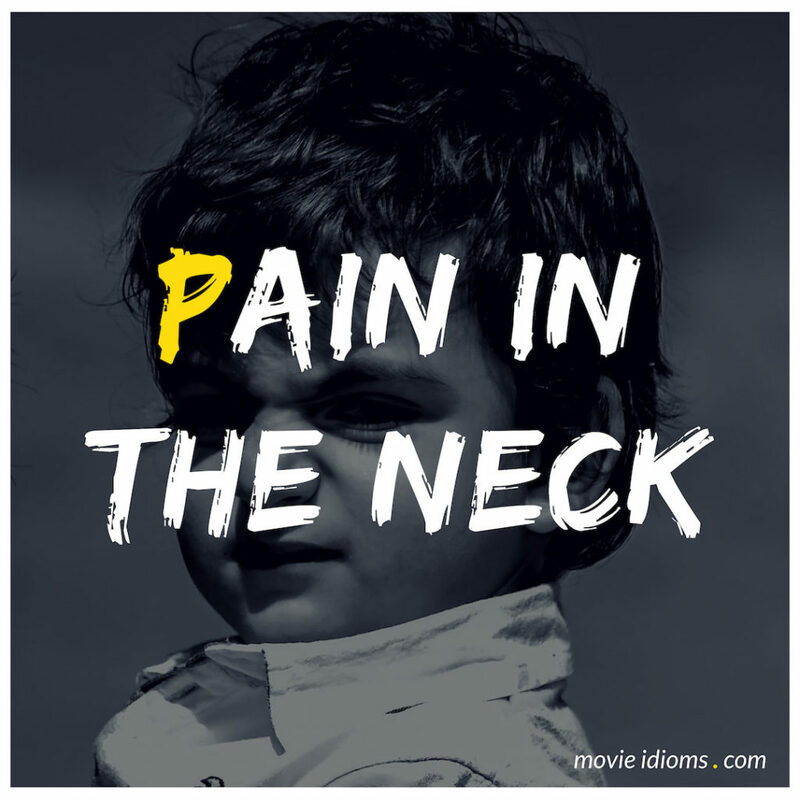 What does pain in the neck mean? Freddie: I always drink, particularly when I’m with you. Madeleine Damien: Am I that hard to take sober? Freddie: You’re a voluptuous pain in the neck. Lex Luthor: He switched it, did it to them! That’s whey the lights were on out here… while he was safe in there! Lois Lane: You know something? You’re a real pain in the neck! Superman: Are you all right? I knew you’d double-cross me, Luthor. A lying weasel like you couldn’t resist the chance. Lex Luthor: Me? Are you kidding? Hey, I was with you all the time! That was beautiful! Did you see the way they fell into our trap? Ha ha! Superman: Too late, Luthor! Too late. Max Vandenburg: So, how is Rudy? Liesel Meminger: I don’t know. Rudy is a pain in the neck. Max Vandenburg: The only thing worse than a boy you hate, is a boy you like. Right?